Dr. Pamela Williamson, current President & CEO, at the Women’s Business Enterprise Council West (WBEC-West), was recently inducted into the Nevada Women's Hall of Fame (WHOF) on March 16th, 2018, at a luncheon ceremony at Lawry’s The Prime Rib in Las Vegas, Nevada. The 2018 Women's Hall of Fame (WHOF) Minority Lifetime Achievement Award was presented to Dr. Pamela Williamson, President and CEO of Women’s Business Enterprise Council-West and Organizational Leadership Corner4Success Charitable Foundation. An exemplary, dedicated individual, Dr. Williamson has extensive experience as a senior leader for over twenty five years. 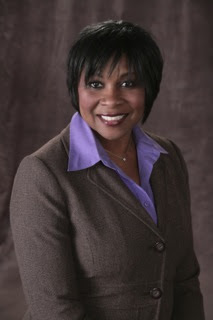 She has served as the CEO of a SABA 7 consulting firm, overseen quality control at a Psychiatric urgent care facility of a National Behavioral Health Care Organization where she served as Vice President and Deputy Director, and currently serves as the CEO of WBEC-West, one of the nation's largest third-party certifiers of businesses owned, controlled, and operated by women in the United States. She holds a Doctorate in Healthcare Administration, a Master's degree in Business Administration, and bachelor degrees in both Psychology and Sociology.